When Jeff asked if there was a plugin that lets you easily close trackbacks and pingbacks on old posts, I pointed him to a very ancient version of Auto-Close Comments, Pingbacks and Trackbacks. Is there a plugin that does this? http://t.co/ipk6JAs2ZW where is it? It was so old and threw up all kinds of warning messages that I decided that the plugin needed a massive clean up to get rid of all deprecated code and PHP warnings. I give you v1.4 of the plugin. It has a brand new admin interface while providing you the very same configuration settings. 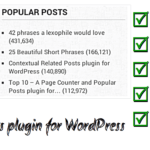 The plugin will automatically close comments, pingbacks and trackbacks on your posts and pages. 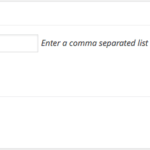 You can choose to keep comments / pingbacks / trackbacks open on certain posts or pages by passing the ID in a comma separated list. 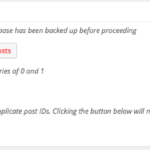 An extra feature is the ability to delete post revisions that were introduced in WordPress v2.6 onwards. And, if you want to systematically close comments, pingbacks or trackbacks on your posts, just set up the scheduler and you won’t need to bother anymore. Close comments: Automatically close comments on posts and pages. 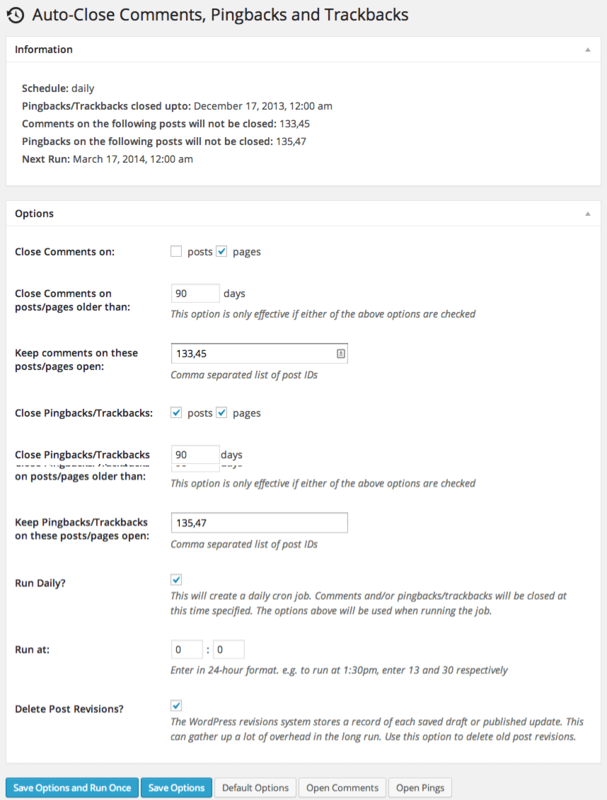 Close pingbacks and trackbacks: Automatically close pingbacks and trackbacks on posts and pages.